If you’re a student who has just left home to start a university or college course, you may be experiencing a whole range of emotions – excitement about the adventures that lie ahead and trepidation about managing on your own for the first time. You now have total responsibility for your own wellbeing, which can be rather daunting, but there are things you can do to make sure you look after yourself, eat well and get enough exercise without swallowing up the whole of your student loan in the first week. Firstly, we focus on food. Here are some great tips for good nutrition while you are away from home. • Steer clear of takeaways and ready meals. They are expensive for what you get, generally full of unhealthy calories and low in nutritional value. • Eat seasonally. 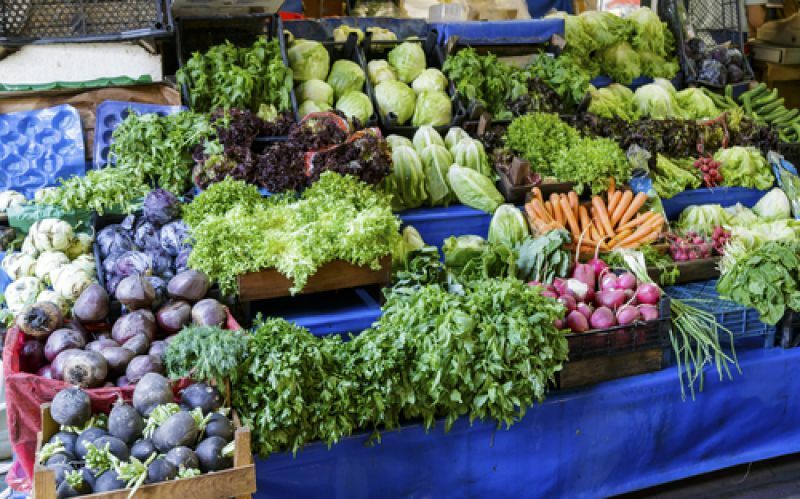 At this time of year street markets are full of healthy vegetables, from sweet corn to swedes, carrots to courgettes, potatoes to pumpkins – all reasonably cheap, filling and nutritious. A jacket potato with cheese and baked beans is actually quite a healthy meal and easy to prepare– much better than a dubious “value” lasagne from a supermarket. And don’t buy strawberries in winter – they’ll be expensive and tasteless. Instead choose apples, oranges, pears or bananas – market stalls often offer the best value – and avoid the chocolate vending machines! • Get yourself a tin of bouillon powder (Marigold is a good one) and some vegetables and you can cook up a big pan of chunky soup that will last a couple of days, if you refrigerate any leftovers. You could even try making bread to go with it. • Eke out small amounts of meat by adding vegetables and pulses to make casseroles and curries, using herbs and spices to add flavour. Also, a dozen eggs can form the basis of a variety of meals and deliver protein at a reasonable price. 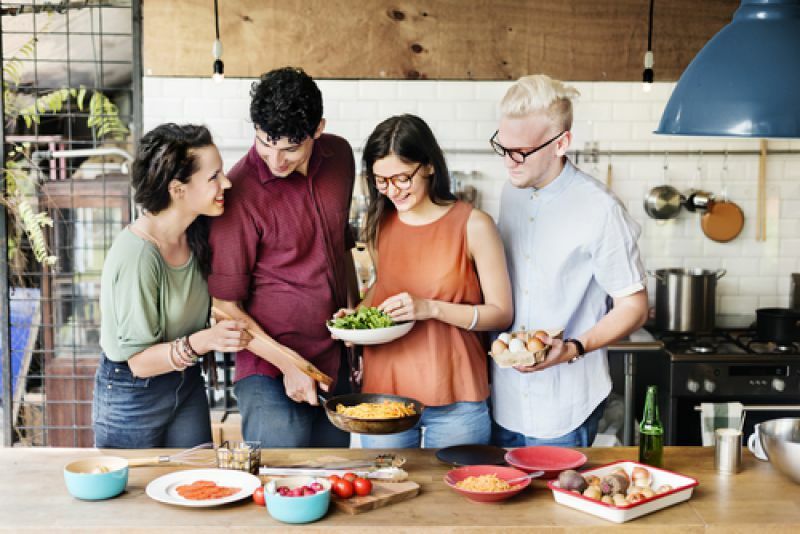 • If you’re in shared accommodation, get together with friends to cook up a storm. You can split the cost and enjoy one another’s company, making a supper party a fun alternative to a night at the pub. Light a few candles and have a “night out in”. If you're friendly with students from other countries, this could be a great opportunity to sample their cuisines too. • Buy supermarkets’ own brand products – they are often just as good as the well-advertised stuff, at a fraction of the cost. 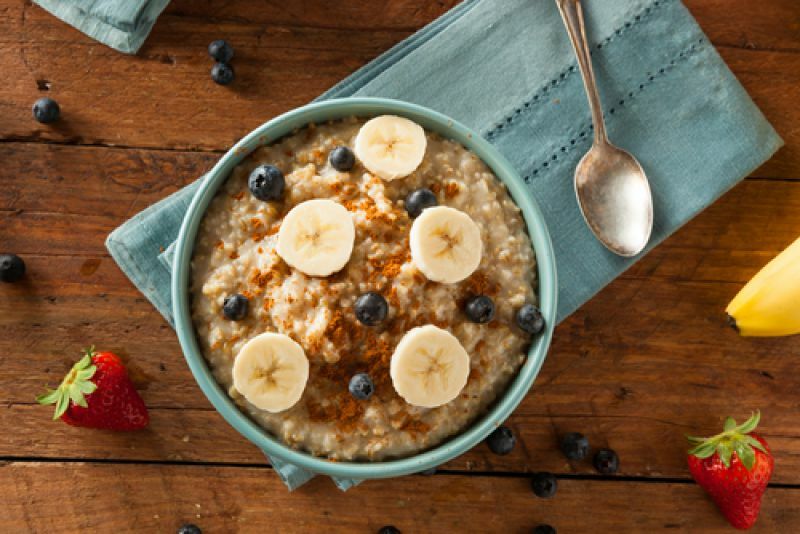 • Make yourself some proper porridge for breakfast – it’s super cheap, warming, good for you if you don’t pile on the sugar, and extra healthy if you add a sliced banana or a chopped nectarine. • Scour the “reduced” shelf at your local supermarket and snap up bargains. But only buy what you can eat up quickly or things that will store safely, and bypass the cream cakes. If you have access to a freezer, you can stash away meat, bread and milk to use another day. Or use meat and vegetables near their sell by date to cook a batch of Bolognese sauce and freeze portions for future use in pasta dishes or chillies. • If you find out when your local supermarket is closing for public holidays, go the day before and you’ll get the reductions for the day you’re there and for the day the shop is closed. • Try the well-known budget supermarkets if there is one near you. • Steer clear of binge drinking. It’s terrible for your health and will gobble up your budget in no time. If you have any ideas and tips for healthier but cost effective eating ideas for fellow students, please post on Facebook or Twitter now!